Stripes are summer staple and it doesn't get any more basic than black and white. This summer, they are on the top of everyone's shoppinglist. And I've been seeing a lot of stripes lately, mostly in bold way. Trying to pull out the stripes but in a classic and lady-like. 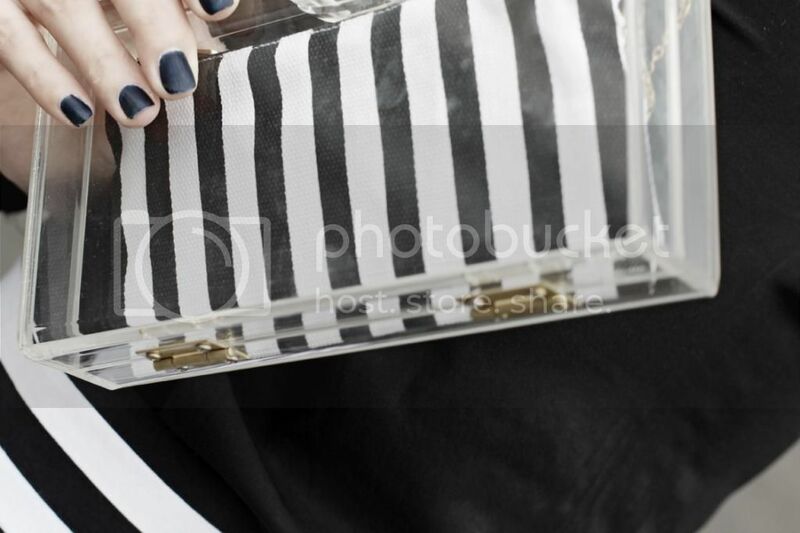 Got the stripes skirt tailored, and I want to add a glamorous pout to this outfit, and I pair it with this perspex clutch from Estoite with a stripes insertion. Stripes on stripes, what do you think? Note: Sorry about my messy hair, in less than a second, the wind was blowing like crazy.